It feels SO good to get back to the roots of my blog. In the beginning, all I posted were fashion posts just like this. I’ve strayed from my original posts because I wanted to share more about zero waste, minimalism, travel, and life motivation as I grew. However, I am happy to be bringing back these types of posts weekly! They will be short & sweet with the main goal of showing you that sustainable and thrifted fashion can be glamorous, fashionable, and affordable! 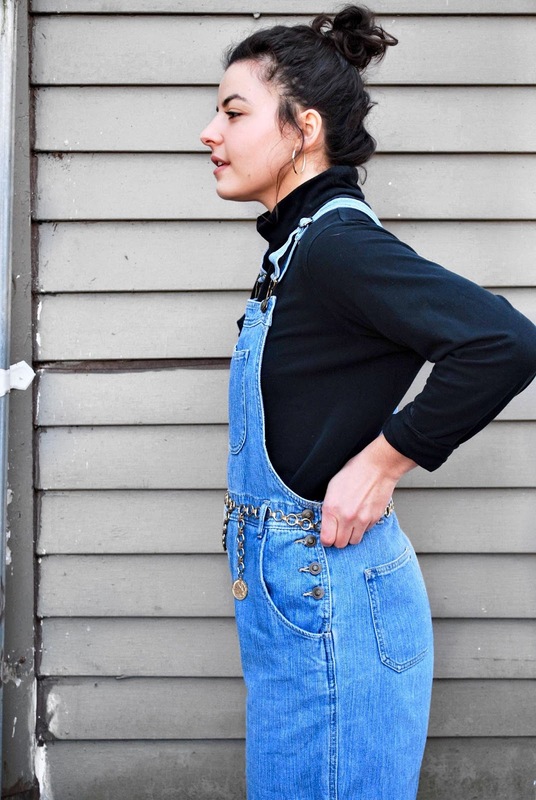 For this week’s inspiration, I put together an outfit focused on my vintage overalls. I had been wanting a pair of overalls for a while and I finally found these at Value Village for about $10. I love that they are cropped because I can wear them all year round. *Thrifting Tip: Look for versatile pieces that can be worn with multiple outfits. 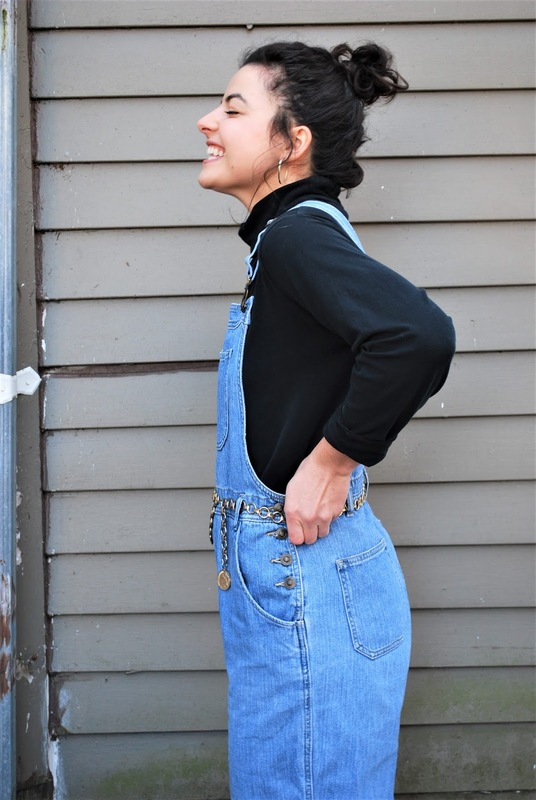 I paired these overalls with a simple black turtleneck, my mom’s vintage chain belt, and thrifted boots. 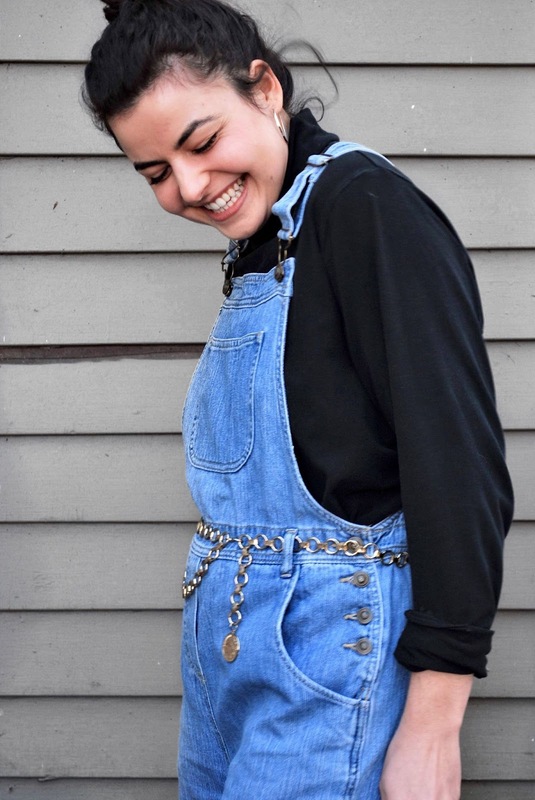 Overall, the cost of this outfit was about $25. Sustainable fashion doesn’t have to be expensive, boho, hippie, or unfashionable with a little creativity! 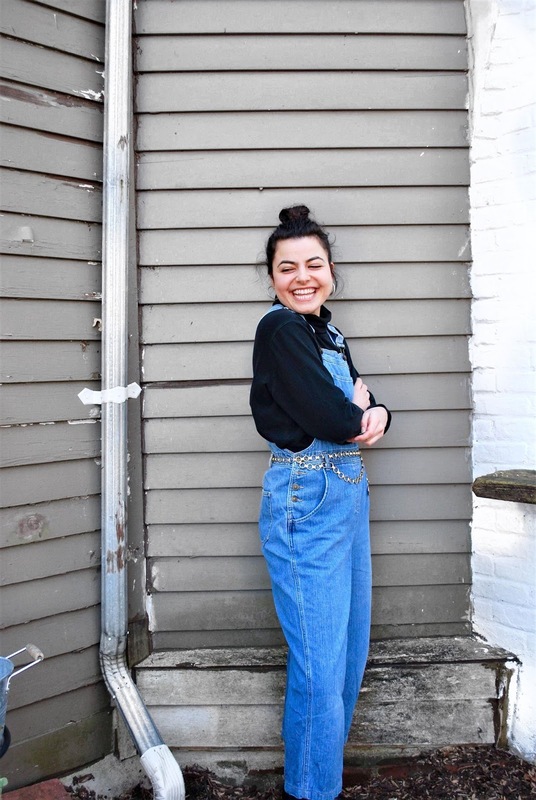 Check out this post for more thrifting inspo and I’ll see you next week for another fashion post!